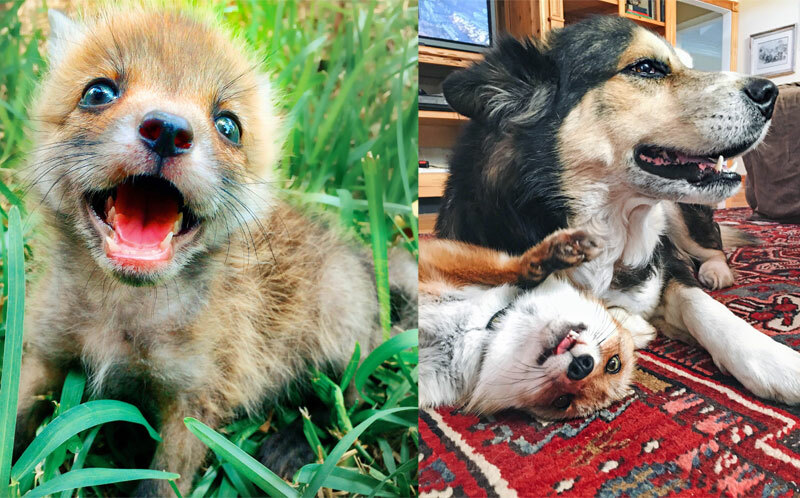 This is the adorable story of a friendship between a dog and a tiny fox who thinks it’s also a dog. 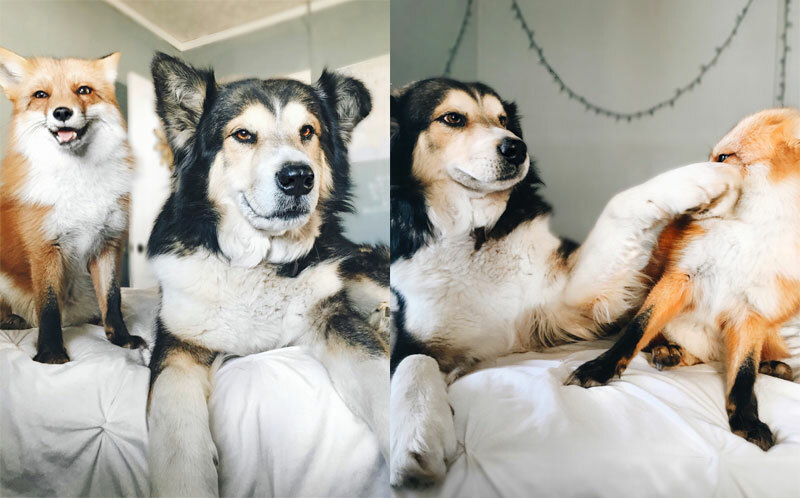 Just like out of a fairy tale, Juniper and Moose have a magical bond and spend all their days together – from eating breakfast to snuggling at night. In adorable photos and video, the two can be seen playing with furiously wagging tails. 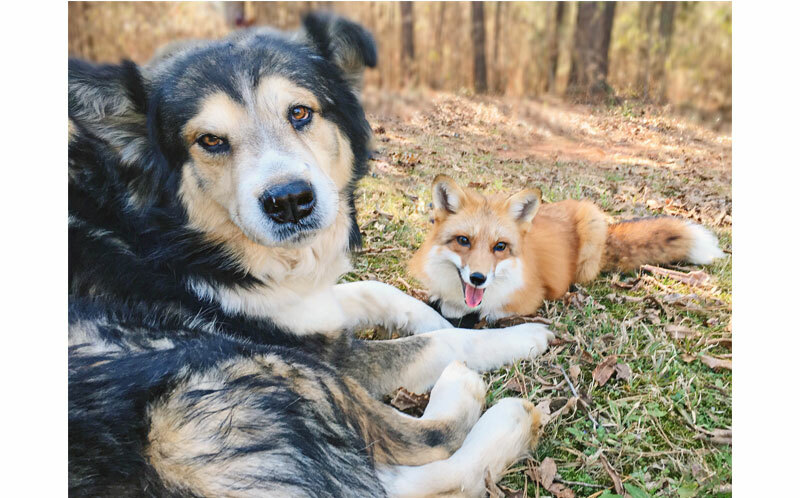 According to the owner, Juniper the fox even acts like “a little girl with a crush” when she is around Moose. 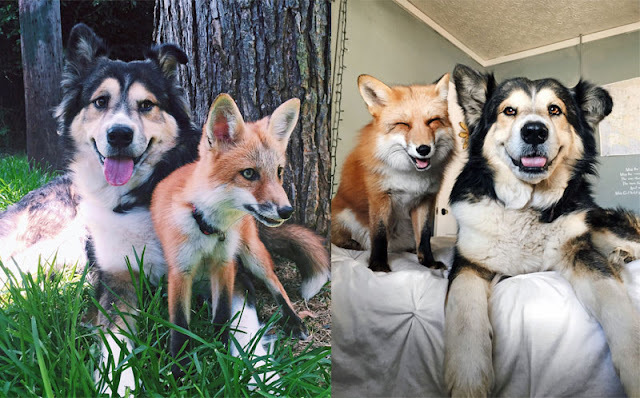 Jess and her boyfriend adopted Juniper, a North American Red fox, when she was just five weeks old and have raised her for the past year. Due to being raised with just dogs around, Jess claims that Juniper believes that she is a dog. However, Moose is aware she is not a dog due to the “hugely different” body language. 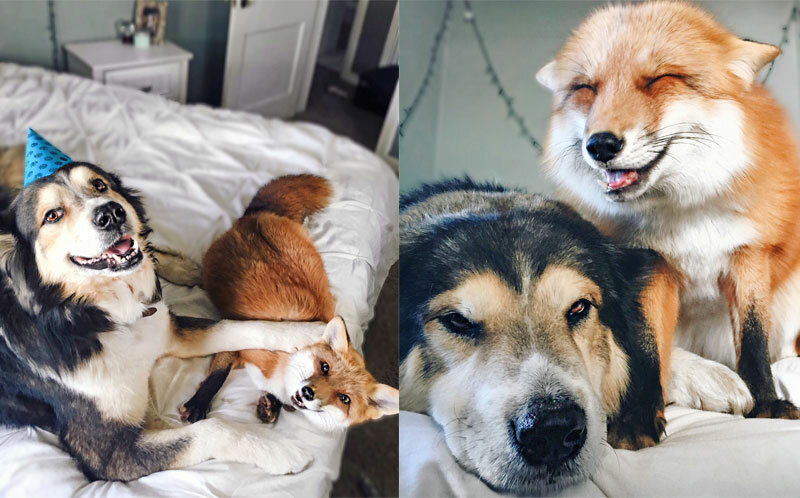 Their friendship is certainly out of the ordinary as foxes and dogs usually don’t get along, seeing as dogs don’t like the way most foxes smell. Australian Shepherd mix Moose, 6, was also rescued by the couple when he was very young. Jess said: “Foxes only bond closely with one or two people. My boyfriend and I are the two people she’s closest to. She’s quite shy around others, even those who have been a huge part of her life growing up.” “Moose has been around a vast array of animals. He has a very gentle disposition especially with the smaller ones. “Since Juniper was very tiny when we brought her home he immediately took the role of guardian. She’s also loved him from day one. 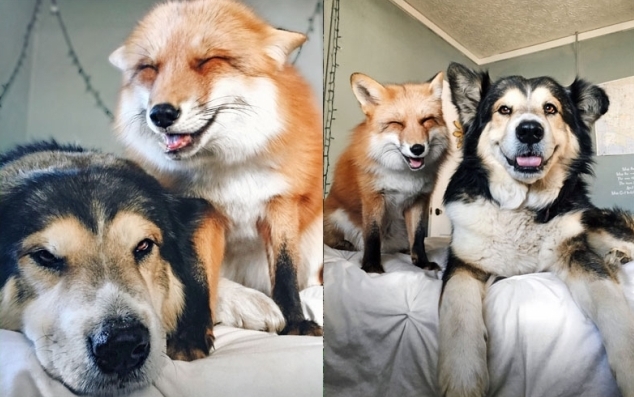 Responses to "Adorable Friendship Between Rescued Fox and Rescued Dog"
That fox is laughing. It's incredible how joyous her expression is. She looks like she is smiling! Wow, they both have such expressive, sweet faces. They must live in a very happy home. Precious animals loving each other and their hoomans. Smart FOX. Dog has a great gig---fox decides to join him.